Right after this I found out I was pregnant and was super super sick for the first 4 months or so and totally neglected posting Roy and Kim's LOVELY Bleckley Inn celebration of marriage...and a celebration it WAS! I still remember the awesome live band and the crowd that enjoyed every drop, just look at the images below, you'll see. Such a privilege to photograph for long time area photographer Mr. Gillespie, his daughter's wedding. One of the nicest families I've ever photographed for, he let me do my thing, you could tell they trusted me 100%. Beautiful bride, sweet as sugar groom - he gave us photogs some tears which is always a good thing - incredible day! Thankful you guys chose me! So the word on the street is I'll be back at weddings this upcoming spring starting at Hilton Head in May! I'll totally be ready to be back at it by then - capturing all the beauty and fun of such sweet moments. What a gloriously clear blue sky wedding day! When you pay to book that view, you really hope you get to see it. Believe me, I know... my wedding nothing but rain at that same spot years ago. By far one of my favorite venues in the area. Beautiful people. Beautiful view. Beautiful love. What a beautiful place, the Saw Mill, and some really great vendors who made the night spectacular! Beautiful decor. A fire alarm or two... so funny. One thing about it we felt really safe with firemen there most of the evening. These two love life and each other it was very clear. They have some pretty awesome friends who can dance and sing too. Thanks Brett and Paige for letting us celebrate with you guys. The day was so perfect! 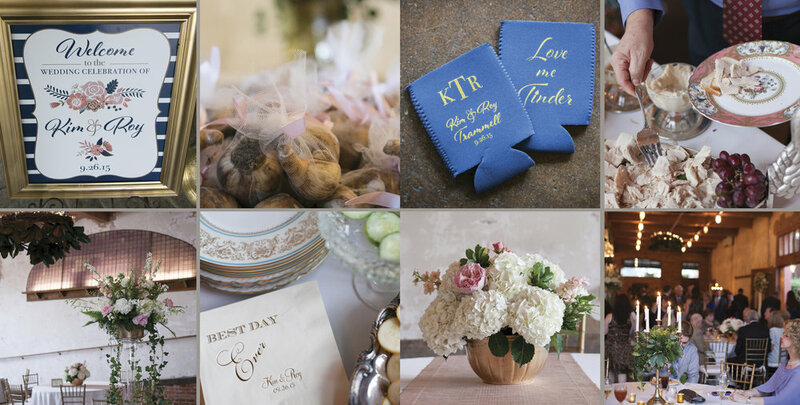 Haley's wedding had all the elements of southern charm. Waffles and chicken, shrimp and grits, mason jars, homemade jelly, pink roses, I could go on and on. Most of all it had LOVE, and lots of LOVE. I'm blessed to spend days like this with wonderful people!